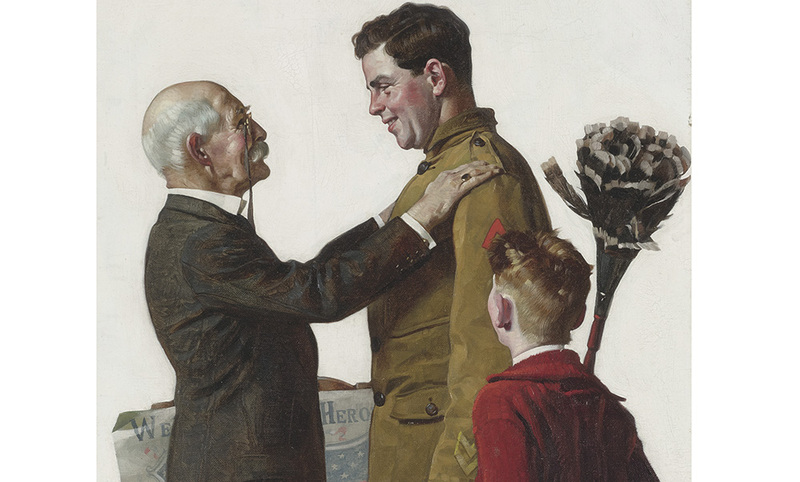 Detail from War Hero Job Hunting [Welcome Home Hero], oil on board by American artist Norman Rockwell (1894–1978), illustration for the cover of the March 1, 1919, issue of Collier’s magazine. See the full image at Sotheby’s website. No Saturday Evening Post stuff, understand! Clear your mind of cant! Brace up your artistic conscience, which was always the weakest part of your talent! Forget for a moment the phosphorescences of the decaying Church of Rome! Banish whatever sentimentalities may cling about you from college! Concentrate in one short story a world of tragedy, comedy, irony, and beauty!!! 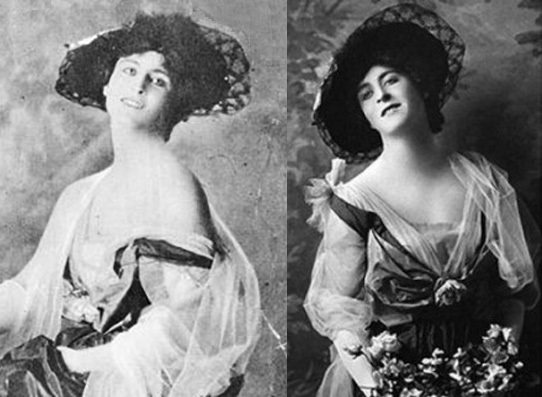 Fitzgerald posing for publicity photos for "The Evil Eye,"
a musical he wrote in 1916 for the Princeton Triangle Club. Fitzgerald had dropped out of Princeton to serve in the army—but he never actually saw combat. Soon after the U.S. entered the war in April 1917 he signed up for three weeks of military training and took the officer’s exam. He returned to school in September but soon received a commission as second lieutenant in the infantry and reported for training to Fort Leavenworth, Kansas, in November. (The captain in charge of his training platoon was Dwight D. Eisenhower.) During 1918 he was stationed at Camp Zachary Taylor, near Louisville, transferred to Camp Gordon in Georgia, and then to Camp Sheridan in Alabama. When the war ended on November 11, Fitzgerald’s regiment was still waiting to embark for France. He was discharged from the army in February 1919. This is the best story I ever wrote. I wrote it with the Saturday Evening Post in mind and, if in your judgment there’s a chance there or with the Cosmopolitan, I wish you’d try them because I think it’s worth at least $250.00. 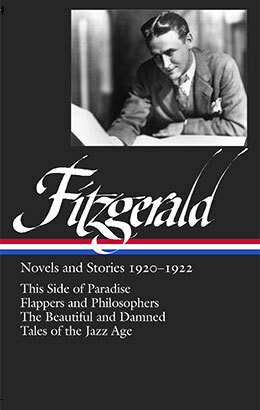 The story has not received much critical attention, perhaps because it is so unlike Fitzgerald’s other work. Still, it has “the genuineness of all the stories he based on his own inner experience,” acknowledges the critic Arthur Mizener. Biographer Matthew J. Bruccoli notes that “Dalyrimple Goes Wrong” is Fitzgerald’s “earliest ironic treatment of the Horatio Alger success story,” and literary scholar Alice Hall Petry cites Theodore Dreiser’s naturalism as an influence on the depiction of Bryan Dalyrimple, who is “an extreme case of a character torn between self and society.” Perhaps the most obvious irony of this early story is to be found in the title itself: Does Dalyrimple “go wrong” when he becomes a masked burglar to make ends meet—or when he is rewarded at the end because he has learned to “cut corners” and land on “the right side of the fence”? Notes: Mentioned on the first page is Sergeant [Alvin Cullum] York, one of the most decorated American army soldiers of World War I. British-Canadian author Robert Service is compared to burlesques shows and billiards on page 402; Fitzgerald detested his poetry, which was often set in or inspired by the Yukon. Doctor [Frank] Crane (page 408) wrote a widely syndicated inspirational newspaper column from 1909 to 1928 and published such books as Four Minute Essays (1919). In the millennium an educational genius will write a book to be given to every young man on the date of his disillusion. . . . If you don't see the full selection below, click here (PDF) or click here (Google Docs) to read it—free!